In today’s limited resources and competing priorities, terminating a project which no longer advances the organization’s objectives, is a sound business decision. It takes courage and should be celebrated as success. The resources saved can be deployed where they will matter the most for the organization in the long term. Unfortunately, terminating projects leaves behind what Susan Scott calls an “emotional wake”. Managing the aftermath of this “emotional wake” will demand all of your mental toughness and resilience. Formal project management closeout processes are well documented but, unfortunately, are only designed to handle projects that are completed normally not those that are terminated. These processes focus primarily on the mechanics of bringing the project to closure from the budget, schedule, and contractual agreement perspective. There is really no help, in project management training, for project managers to effectively bring closure to all the human emotions that surround terminated projects. Whatever the reason for why a project was terminated, you are susceptible to taking it personally. This is normal. You are only human. The longer the project and the more sacrifices you and your team made, the more you are likely to experience a whole range of emotions from confusion to disappointment to disillusion to anger. The experience can be overwhelming. Dealing with the aftermath of a terminated project is a mental process. The most important thing to remember is that the project termination is first and foremost a business decision. 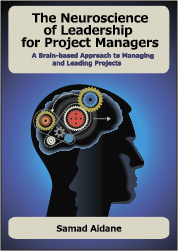 It does not indicate project mismanagement, so you cannot take it personally. Your number one priority should be to rebound quickly and not play the role of the victim. Include your team in the termination decision process. They are going through the same range of emotions and you owe it to them to include them in decisions before and after any official announcements. Document and communicate the rationale for the termination, so there is no misunderstanding or confusing reasons for the termination down the road. Capture anything that shows the benefits of the project to the organization, even if it is terminated. This will give you and your team a sense of accomplishment and pride about what they have achieved. Hold a celebration of the team’s achievements and recognize their contributions and accomplishments. Reiterate to your team that project termination does not mean failure or reflect on their capabilities. Develop a final report to document the project background, accomplishments, and lessons learned. Allow yourself to feel bad for a little while (but not for too long), then pick yourself up, dust yourself off, and get back to work. Don’t take yourself too seriously. Try to find humor (even if just a tiny bit) in the situation and laugh at yourself. You can always find an element of absurdity in any situation. You just have to look. Coping with the emotional aftermath of a terminated project is not easy. The experience will test your leadership and mental toughness. You not only have to be strong so you can take care of yourself, but you also have to be there for your team. Your most important tool will be your ability quickly “bounce back” so you can move on. In the past 20 months I’ve had the unique experience of taking on and having 2 projects terminated. Usually I’m brought in to turnaround failing projects, but in this instance I actually initiated one of them myself. Sadly the Organisation did not follow any one of your 8 points, and it was a case of one day the project was chopped and literally 20 mins later being asked to initiate another. As you said the key thing is not to take it personally. Invariably one needs to realise that when managing IT projects commercial priorities change particularly when money is tight. One therefore needs to keep a close eye on the project business case from the outset to ensure you have an understanding of how viable the project really is and not to get too attached until it is beyond the point of no return. For me after 2 sudden terminated projects due to the Credit Crunch and secondly a decision by the Secretary of State, my third project went through the entire project management life cycle and successfully launched. It is so great to hear your take from the perspective of someone who has been there and done that. You are so right. We can get too attached to our projects and fall in love with them. Getting too attached makes it difficult to handle the impact when they get terminated. I agree that we need to make sure others, not just us, care about the project more than we do. Others need to be willing to do the heavy lifting to defend the project when the org needs to re-prioritize. The business case will have all the information we need to determine how strong the motivation for the project is. At the end of the day, we need to take care of ourselves so we are prepared mentally, if the project is terminated, as our organizations may not have the experience or the capacity to take care of us.